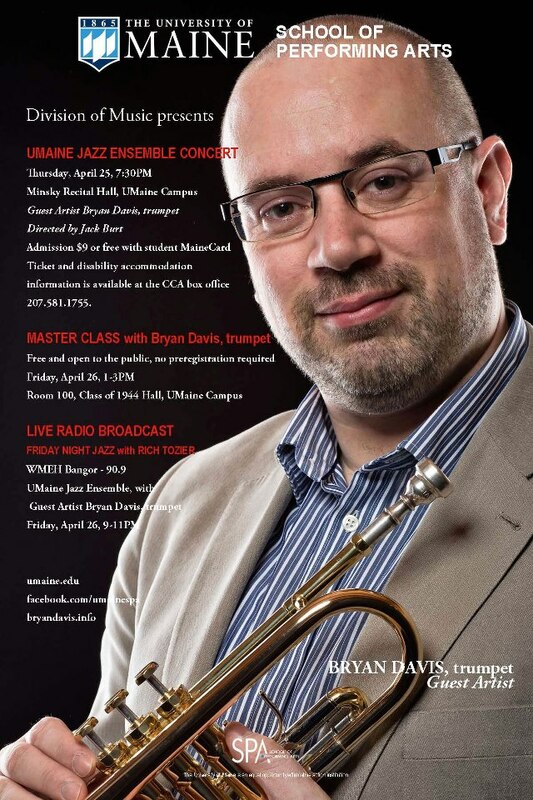 Then tomorrow, Friday April 26th, I’ll be giving a masterclass from 1-3pm in Room 100, in the Class of 1944 Hall on campus. This is also open to the public, so please swing by if you have time and interest. Then, in the evening, we have the event which is arguably most interesting to my online audience! On Friday evening, April 26th, I’ll be performing live with the band on Maine Public Radio, on Rich Tozier’s Friday Night Jazz show. You can listen in on WMEH Bangor, 90.9FM, if you’re close by or live online. The show starts at 8:30pm and we will be playing from 9-11pm (EDT) – you can listen online by going to MPBN.net. Finally, on my way home to NYC, I’ll be making a stop in Wakefield, MA, just outside of Boston, on Saturday, April 27th, to play with the weird and wonderful Mr Ho’s Orchestrotica at Wakefield Unitarian Universalist Church as part of the Standing Room Only concert series. Tickets are going fast, so book your seat now! Full details are on my Schedule page. Hope to see you out and about this week!